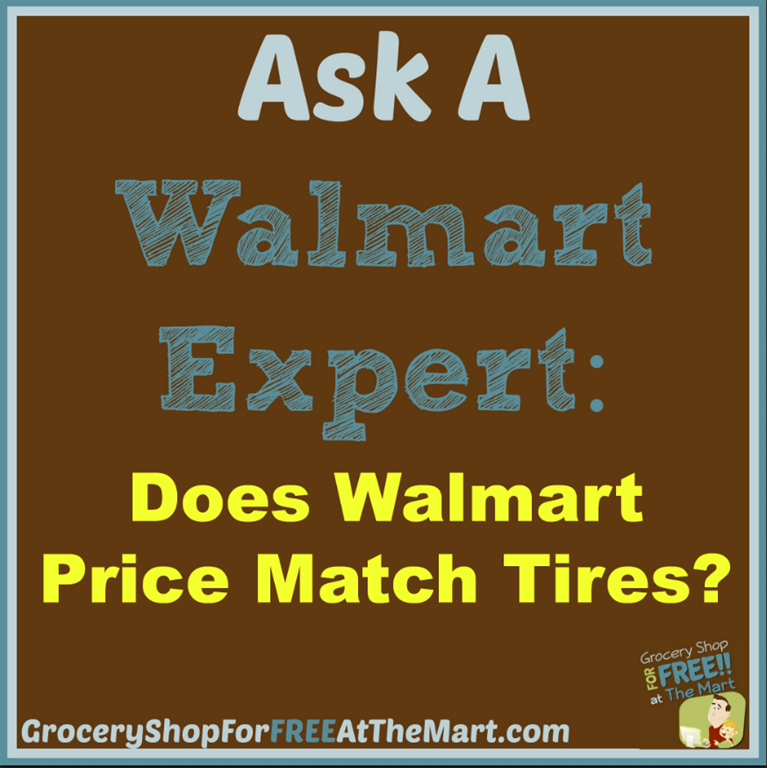 Ask a Walmart Expert: Does Walmart Price Match Tires? Does Walmart Price Match Tires? This is pretty straight forward. If someone is advertising in a printed ad a tire or set of tires that is EXACTLY the same as what Walmart sells for a lower price, you can price match it. This means that when it’s time to replace your tires, start grabbing ads from Sears, Discount Tire, NTB and more and take a look. You might save big! One thing to keep an eye out for is sometimes Walmart will adjust the model number of a tire to keep it from being an exact match, usually by adding a “wm” on the end of the model number. If that’s what your Walmart has, you will not be able to match anything because it will not be an exact match. What if it’s an online, TV or radio ad that you want to price match? Well, this is a little trickier. Walmart is under no obligation to honor those prices but you can ask. I have heard of cases where they did it as a customer service but this is definitely a case of “your mileage may vary”.